028 - USA - 2015 - John Macs Travel & Photography. 028 - USA - 2015. 028 - Tombstone, Arizona, USA - 2015. We arrived here in Tombstone, Arizona @ 12:00 noon. We got checked straight into our hotel The Tombstone Grand Hotel. We took time out before we went up into Tombstone Town at around 12:30pm. We left our hotel and drove into Tombstone, Arizona, stopping off first at Boot Hill Graveyard, formerly called the "Tombstone Cemetery", this is located on the northwest corner of the town, the graveyard is believed to hold over 300 persons, also the plot features the graves of Billy Clanton, Frank McLaury, and Tom McLaury, the three men who were killed during the famed Gunfight at the O.K. Corral. Walking around the colourful streets of Tombstone, made a fantastic backdrop for photos, in this historic town. Tombstone is a historic western city in Cochise County, Arizona. It was one of the last wide-open frontier boomtowns in the American Old West. The town prospered from about 1877 to 1890, during which time the town was the largest productive silver district in Arizona. Its population grew from 100 to around 14,000 in less than seven years. 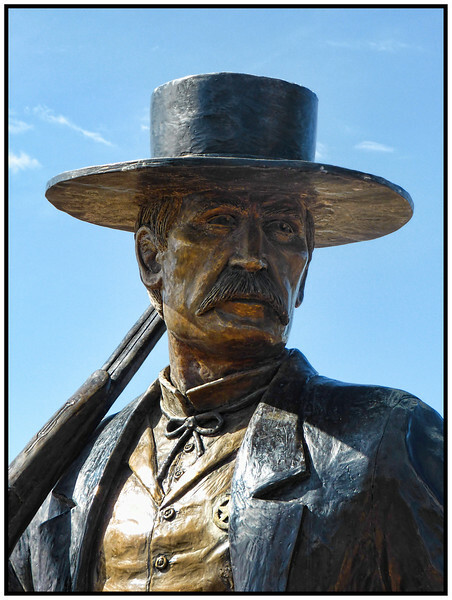 Tombstone is best known for Wyatt Earp and as the site of the Gunfight at the O.K. Corral. The streets here in Tombstone, Arizona, were full of local characters, all dressed up in their finest cowboy clothes, and their 6 shooters ever at the ready. Always happy and willing to pose for a photograph. We ended up in Big Nose Kate's Saloon in Tombstone, for beers & food. This was a very colourful place, full of Wild West Gals & Cowboys. The food was good and beer was strong, and the atmosphere excellent. Big Nose Kate is believed to have been the first prostitute in Tombstone, Arizona Territory. However, her biggest claim to fame was the fact that she was also Doc Holliday's girlfriend. The end to another good day. Tombstone, Arizona, USA - 2015.